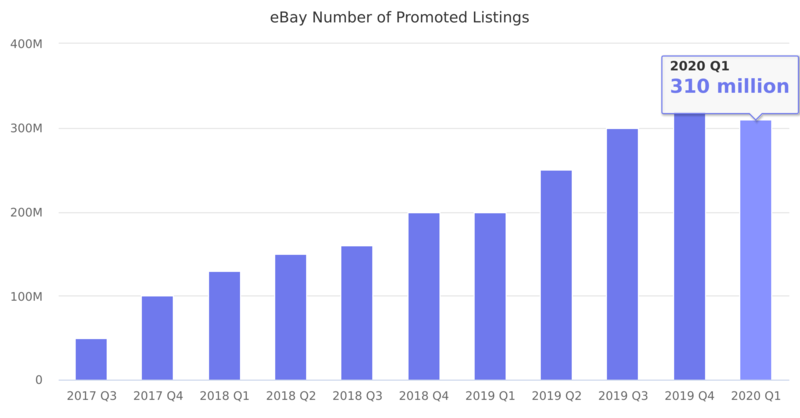 Total number of listings promoted using Promoted Listings. Revenue growth 2018Q3 120%, 2018Q2 150%, 2018Q1 200%, and 2017Q4 50%. Last reported quarter 2018 Q4 it was 200 million, up by 100% year-over-year from 100 million.